India is an agricultural-driven economy where 50% of the population is engaged in the cultivation of agricultural products. The production of crops such as rice, sugarcane, and wheat not only feeds the country but is also a major contributor to the foreign sector. The production of millions of tons of agricultural crop every year has also increased the agricultural waste that we as a country are dealing with right now. The waste that is commonly known as ‘the residue’ is made up of organic compounds from various organic sources like rice straw, coconut shell, sugarcane bagasse to name a few. Since the residue compiles to form a really high amount, it becomes extremely difficult for the farmers to take care of the waste. During the harvesting season, the reaping of the paddy fields generates a humongous quantity of husk which needs instant dumping. Farmers usually gather the husk and put them on fire as it is the easiest way to dump it without leaving any trace of waste in sight. However, doing so creates a serious issue that is directly linked to our environment. Researchers have shown that the burning of agricultural biomass residue or stubble burning is a major health hazard. It doesn’t just affects the organic carbon levels of the soil but also produces an uncontrollable amount of harmful smoke that causes air pollution to the immediate vicinity. A large number of toxic pollutants are emitted into our atmosphere due to the open burning of the husk. These pollutants also contain harmful gases like Methane, Carbon Monoxide, Volatile Organic Compound, and Carcinogenic Polycyclic Aromatic Hydrocarbons. These toxic gases either build a cloud of ash or formulate into smog that is formed due to the intensified amount of smoke present in the atmosphere. These harmful gases create an obstinate amount of cumulative danger that has the ability to travel thousands of kilometers, increasing the level of air pollution in nearby cities by completely wrecking the air quality index and becoming the cause of numerous health issues. The burning of husk or stubble more often contributes to the frequent formation of brown clouds that have an adverse effect on the local air quality hampers atmospheric visibility and further impacting the reasons for climate change. Stubble burning, especially in Northern India has been considered as an easiest and most widely used process to get rid of the crop residue. However, it has had a disastrous impact on the environment and with each passing year, the condition is becoming worse. It has impacted the environment in such an alarming level that it cannot be ignored anymore. Every year, between October and November the peak season of crop burning takes place in the northern part of the country including the states of Punjab and Haryana who are responsible for producing air pollutants that are 20 times higher than the threshold for safe air. For over two months, AQI India monitors have helped us study the different parameters of air pollutants and their adverse effect on our health. 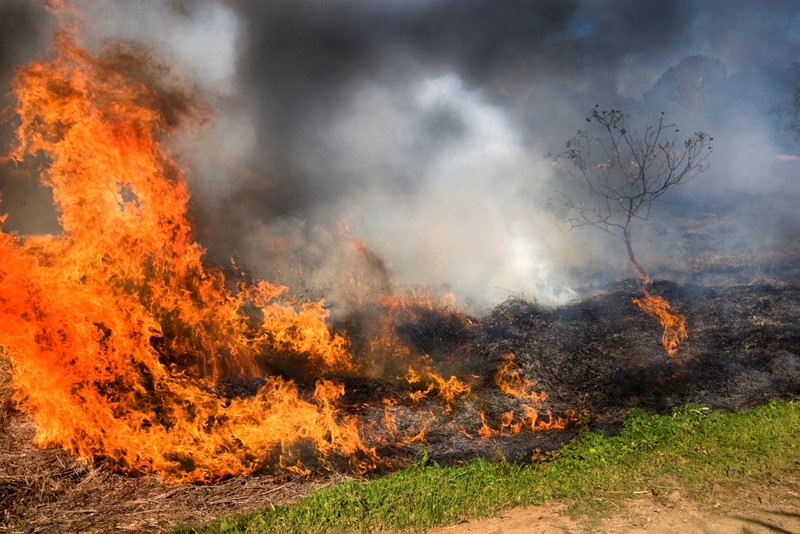 Over 240 monitors have been placed in various locations in northern India and around 50 more have been installed in Punjab alone to monitor the previous increase in pollution level during the season of crop burning. These devices also help monitor the air quality index in the areas that need to be brought under control. By measuring the concentration of PM 2.5 and PM 10 which are key factors of the rise in pollution level, we were able to observe the impact of the crop residue burning on ambient air quality, the average AQI was pointed at 268 with PM 2.5 at 162 and PM 10 at 186 respectively. The substantial increase in particulate matter 2.5 and 10 can be directly attributed to stubble burning during the peak seasons of October and November. Besides the stubble burning, entrainment of husk particles in the air from the threshing and shattering process of rice and wheat seeds also contribute to the gradual increase in the magnitude of the pollutant level. We also need to understand that the burning of paddy or stubble leads to the loss of key nutrients as nearly 50% sulfur, 75% potassium and 25% of the nitrogen and phosphorus is lost. Studies have shown that stubble burning has caused great deterioration in the ambient air quality of Punjab and Haryana. Since these residues also travel across other parts of Northern India posing a serious threat to the biological life. Stubble burning is a serious issue and it must be sought on an immediate effect. With such a grave impact on the environment, understanding the importance of opting for potential alternatives to stubble burning is the only available solution. 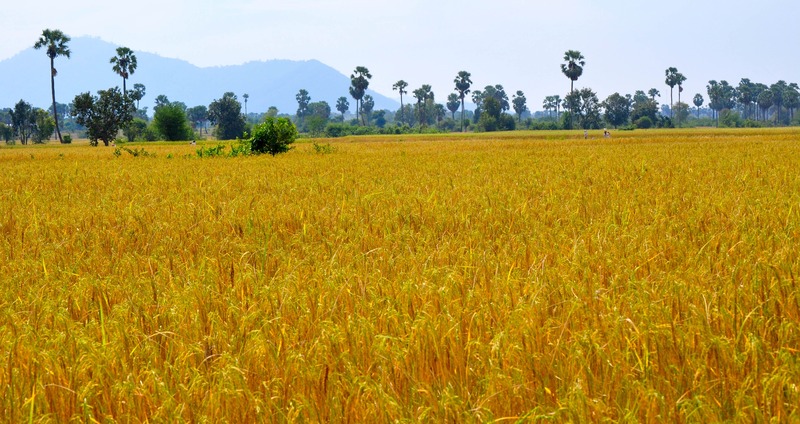 Providing stubble collecting machines to the farmers or offering reasonable labor to reap paddy fields in order to avoid stubble generation is another way to control the issue. Offering temporary employment to the people in need during the harvesting time is another way to combat the situation. One great way to approach the issue is to think of alternatives to deal with it. Converting stubble into energy is an innovative way to address the matter. Not only it helps in reducing the greenhouse effect but also helps to fight against the threats of global warming. Setting up biomass power plants in the villages can help meet the energy needs of the villagers. Setting up biomass fuel plants to generate fuel using paddy husk or making fodder for livestock out of the collected stubble can also serve as an important step to bring down the adverse effect of crop residues finding their way into the environment during the senseless burning of crops.